Think of the quintessential Korean get-together and you’ll no doubt be reminded of the infamous green bottle. Its contents are the fiery mother of many hangovers and drunken conversations spilling into the early morning. Often paired with sizzling meat in boisterous company, there is no shortage of “Korean firewater.” And at less than 2,000 won ($1.90) at your typical convenience store, it’s no wonder so many drinkers reach for the mass-market spirit. But a Korean-American couple from Los Angeles are going against the tide and bringing something different to the table: “craft” soju made from grapes in New York. Taking its name from the Korean term of endearment between married couples, Yobo Soju was brought to life in 2015 by Carolyn Kim, a 38-year-old entrepreneur and public interest attorney who jokingly calls it a “selfish endeavor.” Kim says Yobo Soju was something she wanted to drink, but didn’t think existed in the marketplace. Despite the blossoming Korean-American food scene in New York, there was not enough innovation in soju that matched the quality of the cuisine. “Yobo came about at a time when I was really scrunched in. I was raising our toddler twins, working full time, and James was traveling a lot. I envisioned younger, middle-aged females who are looking for something that isn’t too strong or overpowering, and pairs well with food,” she said. Her husband and co-founder James Kumm, a 41-year-old who owns a wine shop in New York, admits he was initially skeptical about his wife’s venture. He simply did not think soju was a high-end product. Kim was also an outsider in the alcohol industry, which sees a handful of multibillion dollar companies like soju giant Hite Jinro dominate both Korean and international markets, and exceed 1 trillion won ($930 million) in sales per year. “I credit her views from outside the industry. What is missing in alcohol? A lot of innovation coming from the minds of women, a lot of leadership from women, just because alcohol is still a very male-dominated industry. “Why has she been so successful when so many people with money and experience have failed? Because she brought the right perspective,” he said. “That’s in everyone’s consciousness and we don’t want that to be the only thing people know about soju,” said Kim. What sets Yobo Soju apart from most soju brands is its base ingredient of locally and sustainably sourced grapes and its small-batch process in Finger Lakes Distilling in Upstate New York. With a delicate taste and “natural aromatics,” Yobo Soju contains no chemical preservatives or sugars. It is an alternative to the ubiquitous green bottles that are often made from a blend of starches and artificial sweeteners, and mass-produced by mammoth Korean liquor companies. As a plus, Kim discloses “anecdotal evidence” that the after-effects are less severe than regular soju. 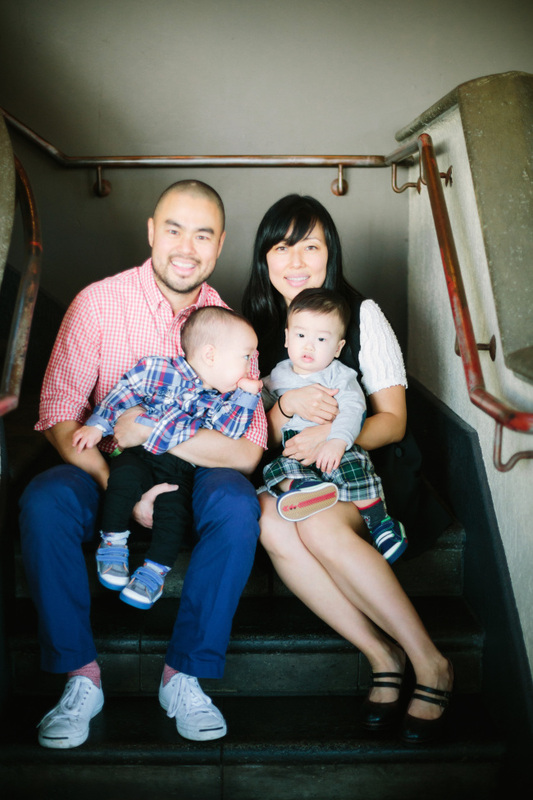 “We’re Korean-American, we have twin boys and we’re normal people. The whole soju thing was unexpected. It was like ‘oh, why not?’ and then it snowballed,” said Kumm. They experienced a slew of domestic successes including partnerships with US restaurants like Oiji, Jungsik and Hanjan and being featured in one of Jean-Georges Vongerichten’s most popular cocktails. Kumm says he and Kim “didn’t dream of a masterplan to sell (Yobo Soju) in Korea” due to limited resources and intense competition from well-established soju giants like Hite Jinro and Lotte. Then they were approached by Korean conglomerate Dong-A Media Group, which also imports craft beers and spirits. And in early January this year, Yobo Soju had its Korean soft launch in five E-mart stores in Seoul, which grew to Shinsegae and PK Market stores, including ones in Busan. Although it is still in the infancy of its Korean launch, Kim and Kumm say they are seeing a positive response. “We always tell each other: Today is the best day of my life because we have a great family, we have an opportunity like Yobo Soju,” said Kumm.